Is it too optimistic and idealistic to actually believe that Christians can redeem their church conflicts? We are grateful for the hard work of Ron Keener and the entire staff at Church Executive. 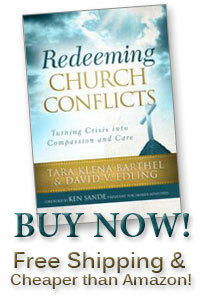 And we are grateful for their interview too: Is your church ripe for conflict?